Bring the beach to you with this Seashell Charm. This textured seashell is perfect for embellishing handmade greeting cards or other paper crafts. 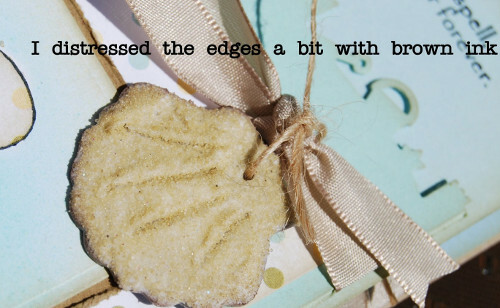 It's a fun summer craft that will remind you of days spent at the beach. 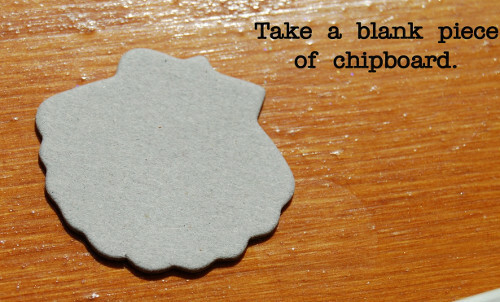 Cover the chipboard with texture paste. You can use your finger, it has the consistency of frosting. 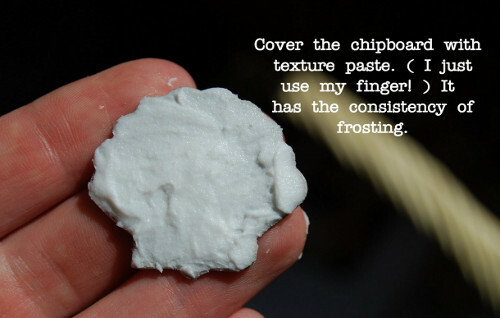 Sprinkle the texture paste with sand. Use a paper piercer to draw lines. Sprinkle again to fill in the lines a bit. I distressed the edges a bit with brown ink.